One of the questions we get asked a lot is "where does my rod licence money go?" Darren Wakenell, is one of our bailiffs. Here he explains more about his role. I've been a fisheries enforcement officer for 13 years and it’s a job I'm both proud to do and enjoy. I love working outdoors (in all weather) and being an angler myself I'm lucky to be working in a job I care so much about. I've seen lots of different evasion ‘techniques’ over the years from someone eating a licence in front of me to someone running away with their brand new chair but leaving all their equipment. A lot has changed since I've been doing this job; it's not just about rod licence‎ checking and close season patrols any more. We work much more closely with police and local authorities in joint operations and are trained in specialist areas such as mobile and rural surveillance. These skills are crucial when we receive reports of fish theft, illegal nettings and traps. It's not a 9 to 5 job – we work evenings and nights trying to catch offenders. Being seen by anglers in a big part of the job – anglers pay their money for the rod licence and deserve to see us out and about. 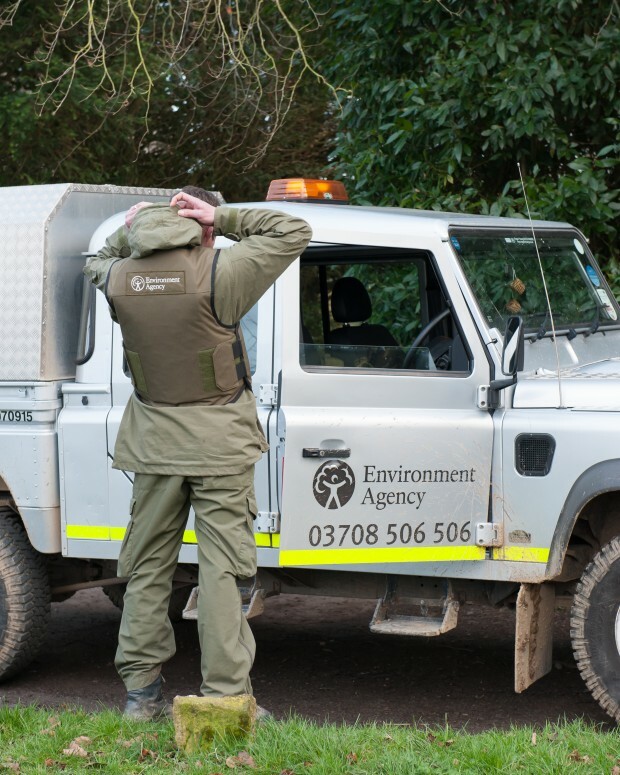 We often hear complaints that it's the first time we've been checked their licence in years, or ever, but the Environment Agency’s work is intelligence-led, meaning that work is targeted on areas where there are reports of evasion or are known illegal hotspots. Plus, we do lots of other things besides licence checking. I have a great rapport with all the fishery owners, angling clubs and tackle shops in my patch. I have often been called when they have people taking fish from their lakes and we have successfully prosecuted the offenders. Only recently a local club called us and we helped retrieve a 150 m illegal gill net from their lake, we safely released a 20llb carp caught in it and we are currently carrying out a follow up operation. Last year, Environment Agency officers up and down the country checked more than 70,000 licences and prosecuted more than 2,100 licence cheats. To help crack down on unlicensed fishing we urge anyone to report illegal activity by calling 0800 80 70 60. This article was previoulsy published in the Angler's Mail. Thank you for contact is us regarding the state of the River Thames . We have a schedule of works for river maintenance and this can be located on GOV.UK Please use the link https://www.gov.uk/government/publications/river-and-coastal-maintenance-programme However if there are fallen trees and the water flow is being impeded we would need to know about this. You can call our Incident Line open 24/7 to report these problems. The team will be able to advise you further.